Visit Richmond, British Columbia (BC) to experience the unique splendor of multiple faiths existing in harmony, as the city has more than sixty temples, mosques, churches and chapels. Number Five Road has adopted the name “Highway to Heaven”, as this stretch of road is home to many religious sites. The city’s large multicultural population is reflected here, through the diversity of exotic temples and places of worship which all encourage a peaceful coexistence. Visitors will be fascinated by the cultures, history and architecture that mark the colorful houses of worship and are welcome to share in the spiritual grace and experience the compassion and beauty found within each of these faiths. 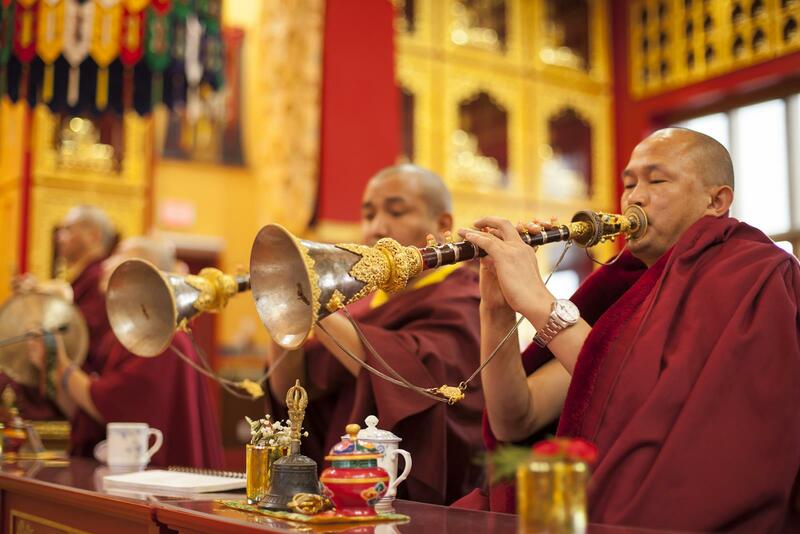 Thrangu Monastery, opened its doors in 2010 when it became the sole traditional monastery in the Pacific Northwest. With over 600 members and 20 monks, Thrangu attracts students and intrigued visitors from all over Europe and North America. Upon entering, you are welcomed by a breathtaking 12-foot-tall, gold-leaded Shakuamuni Buddha. Vegetarian meals are often served after the religious services and visitors are invited to join in. Also on our Highway to Heaven, you will find the palatial style Ling Yen Mountain temple, home to two worship halls and more than 40 monks. Although smaller, the Subramaniya Swamy temple is one of a few places in Richmond, BC, that follows the Hindu religion. Here, holy rites include cleansing effigies in rose water and it is believed that prayers are answered instantly. Visitors are invited to join in every Friday for Karthikeya Pooja; worship and recognition of spiritual growth. Continuing your spiritual journey down the Highway to Heaven, is the Hindu Ram Krishna Mandir, in the Vedic Cultural Centre. As in emblematic Hindu culture, visitors will stride amongst many gods and goddesses adorned in traditional embroidered costumes and garlands. Sunday morning Hindu worships include lighting of oil lamps, chanting mantras and a sit-down vegetarian meal after the ceremony. The Vedic Cultural Centre invites you to join in the offered meditation classes, recitals, ceremonies and festivals, all year round. 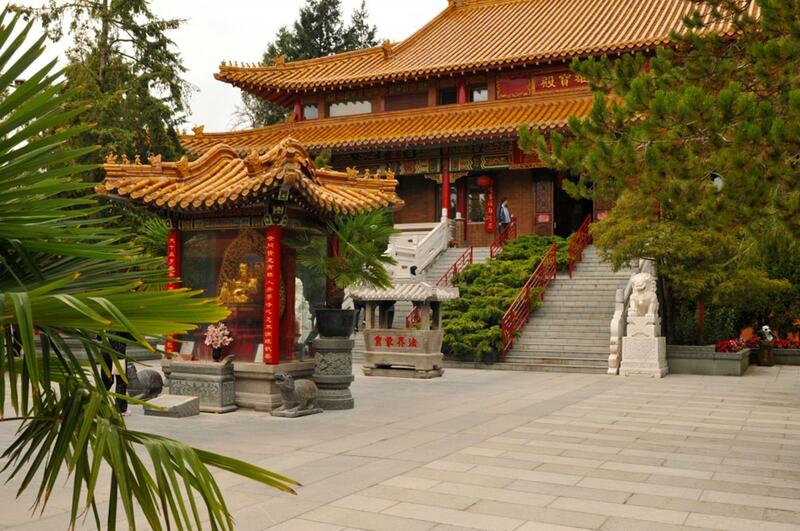 Richmond, BC is a destination where the Far East meets the West Coast. Boasting one of North America’s largest Asian communities, travelers to Richmond will experience a thoroughly modern Asian urban core – with world-famous eateries – surrounded by National Historic Sites, boardwalk shopping, and oceanfront trails. Richmond, BC is conveniently located just minutes from the Vancouver International Airport (YVR), and is only a 25 minute rapid transit ride to downtown Vancouver. The city is home to 24 affordable brand name hotels with over 5,000 guest rooms to choose from, including a full service independent hotel & casino resort property. It’s a warm summer night in Richmond, BC. The night sky is pulsating with live music and the air is filled with the scrumptious aromas of crispy barbequed duck and sizzling garlic pork. Crowds of people stroll through the many rows of vendor stalls at a lively outdoor market that almost transports you to Hong Kong or Taipei, if not for the spectacular views of the Coastal Mountains and Pacific Ocean. Richmond, BC is home to two fascinating outdoor Asian Night Markets: the International Summer Night Market, declared one of the world’s top night markets by both BBC Travel and Travel+Leisure Magazine, and the massively popular Richmond Night Market. Weekend crowds are drawn by the aromas of authentic Asian street foods like spicy noodles, fried wontons and barbecued squid. 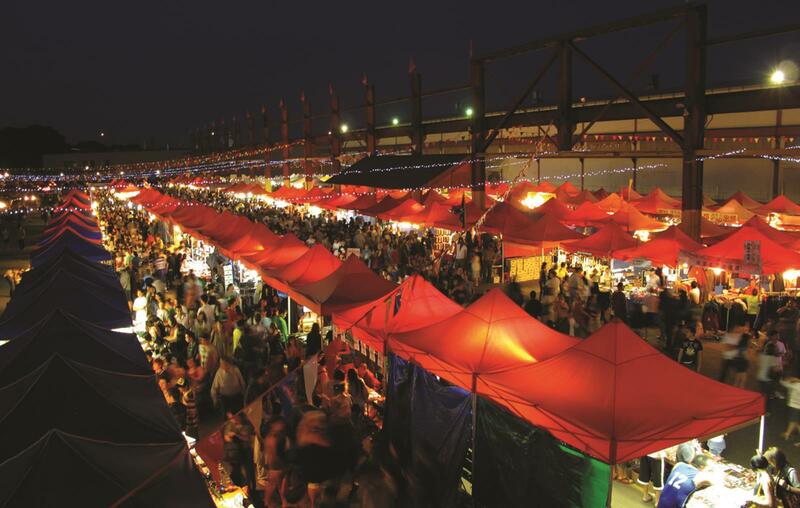 Lighthearted haggling is encouraged and expected at the two night markets’ combined 400+ retail stalls where you’ll find everything from cell phone accessories to bargain clothing and fashion accessories. Tucked away in Richmond’s southwest corner, this picturesque and active fishing village with shops, eateries, bike trails, whale watching excursions, and two National Historic Sites is steeped in history. The popular Gulf of Georgia Cannery is one of the world’s only historically intact salmon canneries and welcomes group tours. The Britannia Heritage Shipyards are the oldest shipyard buildings in BC, offering visitors a glimpse into the lives of the city’s first Asian immigrants. 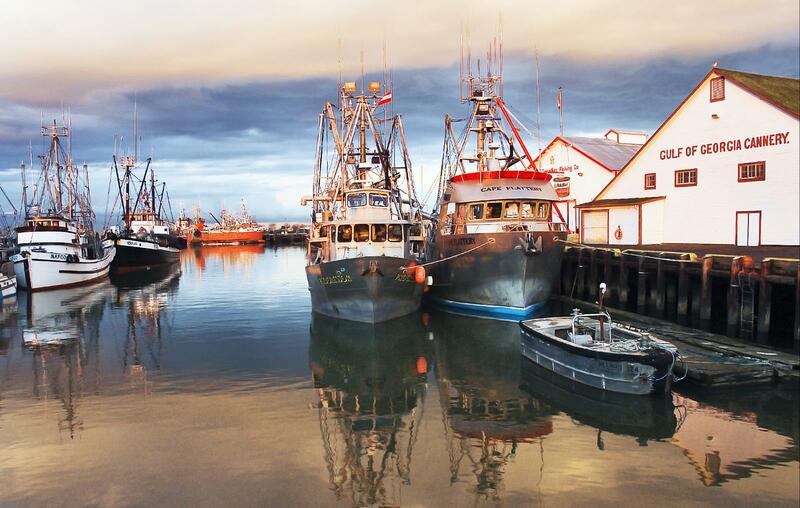 Steveston is also home to Canada’s largest active fishing fleet and a busy Fisherman’s Wharf where fresh fish and seafood is sold daily. Visitors can watch the action at the wharf from one of the many restaurant patios on the wooden boardwalk while enjoying imaginative Pacific Northwest cuisine, including tasty fish ‘n chips. While you’re in Steveston, hop aboard a whale watching and wildlife boat tour for a truly west coast adventure. Nothing quite compares to the mystical experience of spotting a majestic Orca in its natural habitat. Orcas sometimes come playfully right up to the boats as if playing peek-a-boo with the passengers. On an excursion, you’ll also have a chance to see Humpback whales, porpoises, sea lions, seals, and Bald Eagles. 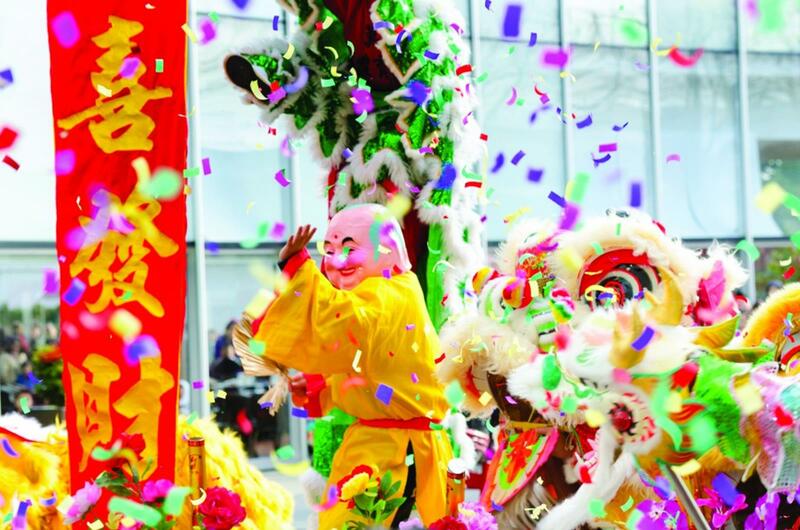 In Richmond, BC’s Golden Village visitors can explore three large Asian-style malls – Aberdeen Centre, Parker Place, and Yaohan Centre. 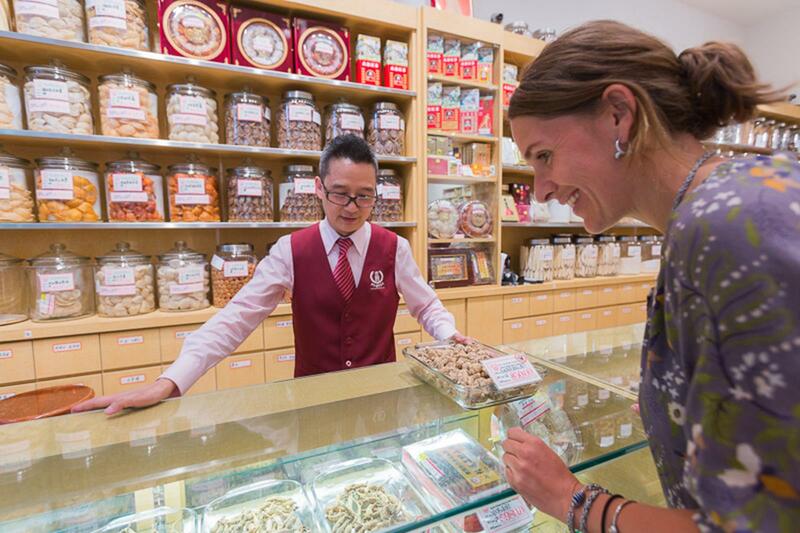 There you’ll find a variety of shops, services, and the latest fashions from Tokyo and Taipei. A must-visit is Canada’s only Daiso store – the Japanese version of a supersized dollar store – with hundreds of items all for $2 or less. Add Richmond, BC to your itinerary and discover the Far East adventures awaiting your clients in one of Canada’s most multicultural West Coast cities.